In this cut throat competition, where quality is an indispensible factor, E-pack polymers (P) ltd earned a reputation to be a market leader in manufacturing & supplying finest quality of color coated roofing sheets/ wall claddings. With a client-centric approach, our organization has able to gain the trust of huge clients by providing a premium range of roofing material manufactured at our advance infrastructure unit, our offered range follows the international standards of quality. Moreover, to meet maximum contentment of our clients', we stringently inspect our range on different parameters to eliminate flaws. 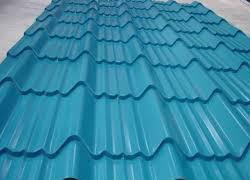 The roofing sheets are used as an envelope for wall & roofs of various building, structures, pre- engineered buildings etc. 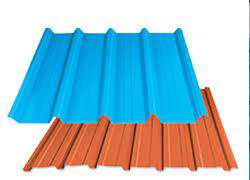 these roofing sheets come in different colors like blue, green, red, grey etc. 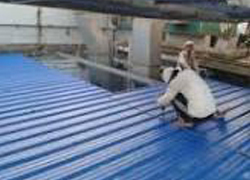 Galvanized color coated roofing sheets are made up of wrought iron & galvanized with zinc. Steel can easily get rusted and affected due to pollution, so to avoid these kinds of problem, a less corrosive material �zinc coating is done on steel. 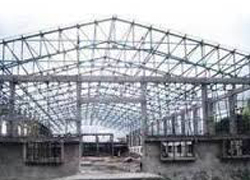 This process is called galvanization which also increases the life of these color coated galvanized iron sheet. 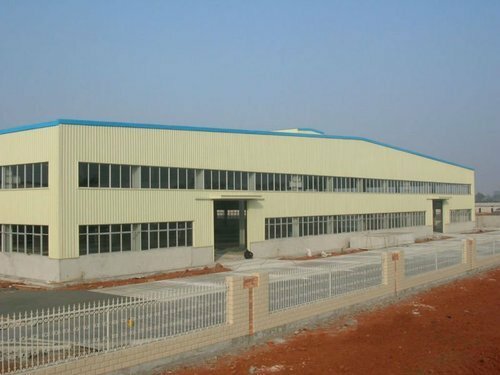 We are offering an exclusive range of Prefabricated Steel Buildings to our precious clients, which is fabricated using the optimum quality raw material procured from the certified vendors of the market. Our offered range is widely admired for its attractive looks, excellent color combination and robust structure. In order to catering varied requirements of industries, we are also offer customization of our range. 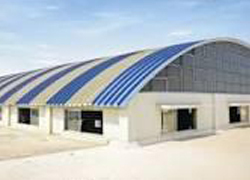 Keeping in mind the precised demands and requisites of our prestigious patrons, we are immersed in presenting to our customers a wide spectrum of Prefabricated Industrial Sheds. These are developed making usage of best in class basic material in tune with the market defined standards of superiority. Besides this, because of their ruggedness, tough built and rust resistance, these are hugely cherished all over the nation. Our clients can purchase these at highly reasonable costs. 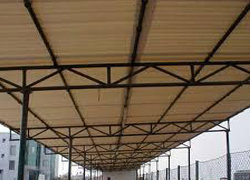 We are one of the leading manufacturer and supplier of Factory Roof Sheet. The offered Factory roof shed is examined on stringent quality parameters by our quality controllers to ensure a flawless range to deliver at clients end. Being manufactured using superior quality raw material and dexterous workers in tandem with set international norms, it is widely admired for its fine finish and excellent quality. We provide it to our clients at affordable prices within the estimated delivery time. Roofing Shed�are widely distributed and supplied by our organization. These sheds are made of technically advanced techniques procured from the trusted and renowned vendors. These are available in various standard sizes and thickness. These are provided as per the client�s demands at affordable prices. 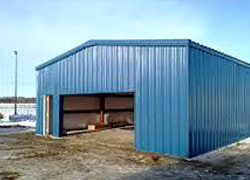 Our range of products include Industrial Roofing Shed such as Factory Shed, Warehouse Roofing, Storage Sheds, Industrial Sheds, Residential Roofing Shed, Rain Protected Shed and many more items. 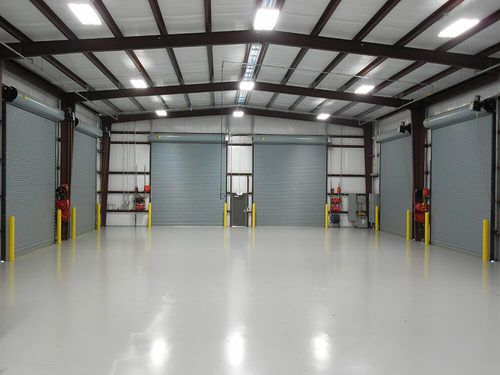 Backed by continuous support of talented and experienced professionals, we are able to provide�Prefabricated Metal Building. 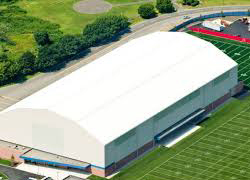 The given building is acknowledged in the market due to its high strength & ability to withstand weather conditions. 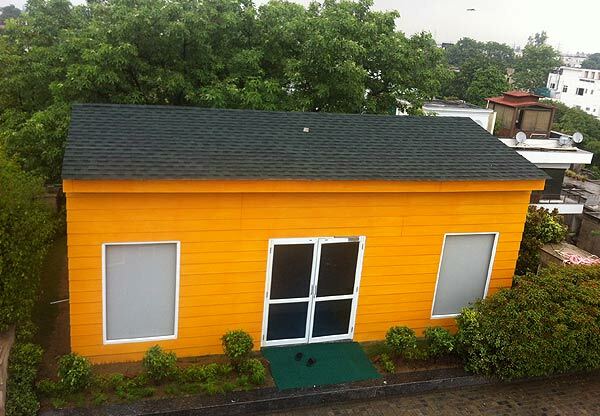 This building is manufactured under the direction of experts in compliance with the set industry norms. 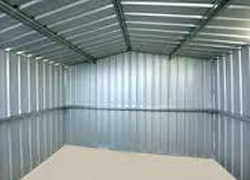 Our offered building is quality tested on diverse parameters by quality controllers in order to assure its flawlessness. These products can be availed from us at reasonable rates.